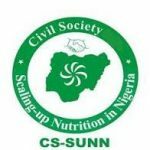 The Civil Society Scaling-Up Nutrition in Nigeria (CS-SUNN) has begun a two-day training for journalists and executives of Civil Society Organisations (CSOs) on effective media engagement in the fight against malnutrition. CS-SUNN Project Director, Mrs. Beatrice Eluaka, explained at the opening of the training in Abuja that the training has become necessary to win the war against malnutrition. Mrs. Eluaka explained that the workshop was designed to build participants’ skills on nutrition narrative and how to use it most effectively in conversations with media and policy makers. “The training would introduce participants to the ‘nutrition story’ and related materials to help them understand how to tailor them for the Nigerian context, to help their storytelling. “It will also enhance participants understanding of the basic principles of media relations and advocacy, and provide them with tools needed to develop media & advocacy action plans,” she added. She said that the workshop, facilitated by Weber Shandwick, was organized in partnership with Children’s Investment Fund Foundation and the Bill and Melinda Gates Foundation. Also speaking, Josie Whittle of Weber Shandwick, said that the most effective way to inform, engage and inspire policy makers to take decision on nutrition is through story telling. “Story telling allows your target audience to connect with the issue, because it helps them understand the issues better and knows what is at stake. “We can completely change the shape and size of malnutrition in the country through story telling such as the famous NTA programme, ‘Tales by Moon Light”. “There was equally the need to change communication direction on nutrition from eating enough food to getting enough nutrients; from technical jargons to simple language. “From problem focus stories to solution centered stories; and from high cost of nutrition intervention to how to set priorities and focus”, Whittle said. The participants commend CS-SUNN for organising the training, stressing that it would help bridge the communication gap in getting nutrition messages across for better result.